There was a small flaw in my plan for tonight's recipe. I forgot to defrost the beef and so it became Mushroom Stroganoff with herby pasta. 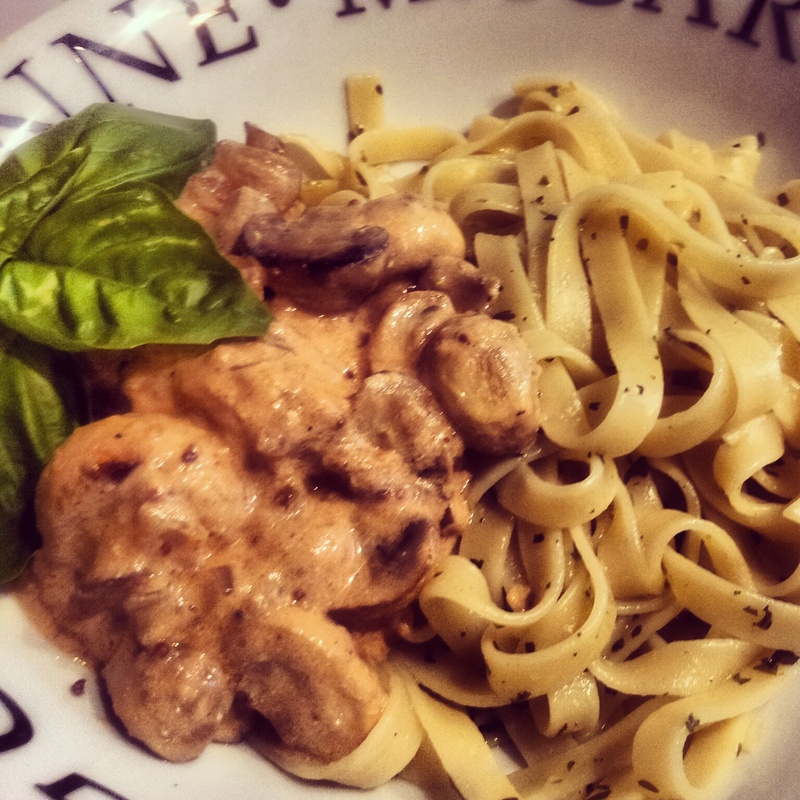 Not much to say about this one other than the sauce was really tasty; it worked really well with just mushrooms and I think it's even better with pasta than with rice (which is what my mum always used to serve stroganoff with). If I'm honest, I welcomed the lack of meat too. A good store cupboard meal. You can find the recipe here. And you can breathe a sigh of relief that for once, I'm not going to waffle. Goodnight. It tastes far better than I presented it!